Every year out of all the books I read, one or two linger and becomes a part of me in some way. This book is one of those. Like a visit to Auschwitz, you cannot read this book and not be effected by it. Just last month I visited the Demilitarized Zone and actually got to step into North Korea for a few minutes while in the Joint Security Area. Yet even after that experience, North Korea to me remained what it is to most, a weird – potentially dangerous – but mostly laughable hermit kingdom. Shin’s story recorded in Escape from Camp 14 is helping to wake me up from my apathy. 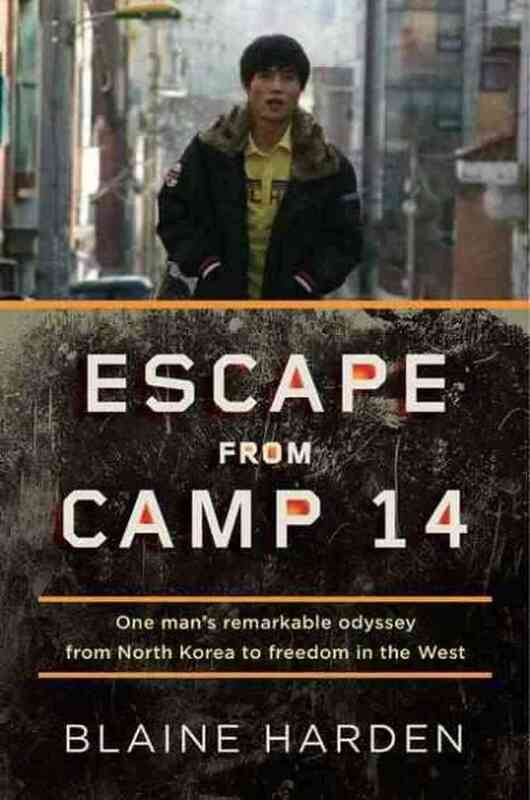 Part escape thriller, part (unintentional) commentary on both the Imago Dei and the depths of depravity, part humanitarian journalism – all true – Escape from Camp 14 is gripping from start to finish. As the only person bred, born, and raised in a North Korean Prison camp to escape to the West, the story of Shin Dong-Hyuk is unlike any other. Imagine reading Night by Elie Weisel, or the Diary of Anne Frank. Now imagine not just reading a story about someone plucked from a loving family and a world of comfort and thrown into the hellish conditions of a prison/death camp but instead you are reading the story of someone who only ever knew life in a cage. Shin wasn’t captured and taken to an Auschwitz-like concentration camp. He was born and raised there. Totally cut off like a state bred feral child, Shin barely knew North Korea existed outside of the electrified prison fence – let alone a free world. And this didn’t happen during our great grandparents life. It is happening now. …this is a description of current events. As Harden writes, “North Korea’s labor camps have now existed twice as long as the Soviet Gulag and about twelve times longer than the Nazi concentration camps.” These many camps are are visible to anyone who knows how to use Google Earth, yet the outside world remains either in ignorance or apathy as to their existence. Shin’s story has started for me what I hope is a lifelong journey of education, prayer, and action in response to one of the greatest injustices in our world today – the North Korean Prison State.